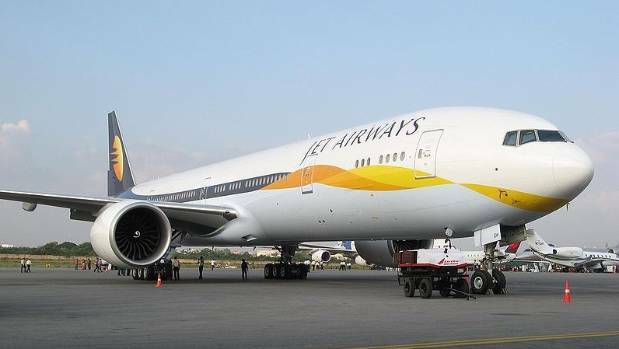 Fly Deal Fare Blog: Travel With Ease Jet Airways Baggage Policy, Reviews and Services! Jet Airways is the second largest Indian airline. Its primary hub is located at Mumbai’s Chhatrapati Shivaji International Airport (BOM). And the secondary hubs are located at Schiphol, Chennai, Delhi, Brussels, and Kolkata. It flies to about 45 domestic destinations and more than 20 international destinations. Domestic and international short-haul aircraft are configured with either a single Economy Class cabin, or both Business and Economy Classes. But the International long-haul flights have the First, Business and Economy classes. The Passenger can carry one checked bag and one personal item such as a handbag or laptop bag. But the assistive devices and outer garments do not count as personal items. And your carry-on baggage must be fit in the overhead bin or under the seat in front of you. If your baggage is lost or delayed, then contact the Jet Airways’ agents. They will assist you in recovering your lost or delayed baggage. But you must have a tracking number. You can also use the Baggage Tracer to check the status of your lost baggage. They will arrange your baggage upon arrival and delivered it to your local address. If your baggage or its items are damaged, then report to a Jet Airways representative in the baggage hall. The representative will ask you to fill out a related document and report the problem immediately. The representatives will give you a choice of either immediate settlement or arrangement for repairs of your luggage. But for fragile items that are packed in checked baggage are not covered by Jet Airways. So, please ensure that all such items are securely packed. Damage due to over packing or over-weight is not covered. Inform to the Jet Airways representative in the baggage hall about the delayed baggage. Give the contact information and a description of your baggage to the agent. An intensive search of your missing baggage will start from the time you reported. Any single item, which exceeds 158 cm or 62.2 inches in total dimensions, is considered to be an oversized baggage. And they charge the penalty. A guest can carry delicate items such as musical instruments, electronic equipment, paintings and diplomatic mail in the cabin by booking an extra seat. The weight of the musical instrument on the extra seat should not exceed 75 kg and must be in size and shape. Pets such as household birds, canaries, rabbits, etc are allowed on the Jet Airways flights. Carry the animals in the proof container that is of proper size with ventilation. The container must not be made of plastic. And one passenger can check in a maximum of 3 containers. As per the general guidelines, do not pack the valuable item like money, jewelry, electronic equipment, certificates, valuable business documents, passports or any identification documents in the checked baggage. The passengers can carry the dry ice in the cabin and checked baggage but only in limited quantities and not exceeds more than 2.5 kg. The ‘Kirpan’ is an important religious symbol of Sikhism. As per Indian law, the passengers who are traveling on an Indian registered aircraft are permitted to carry a ‘Kirpan’. The dimensions of the ‘Kirpan’ must not exceed a total the length of 22.86 cms / 9 inches. The ‘Kirpan’ are not permitted in the cabin baggage for the International flights but can carry in the check-in baggage. Jet Airways is a Full-Service Airline. They served the meals and provide their services in the First, Business and Economy class. First class: The seats in the first class are converted to a fully flat bed. They offer private suites, personal LCD TVs, and in-seat power supply. Business class available on the long-haul international flights. They offer the recliner seats, fully flat beds with personal LCD TVs and in-seat power. And the domestic flights offer the recliner seats with larger leg room in 2-2 configuration. Economy class on long-haul aircraft has a 32 inches seat pitch with a footrest and the cabin is configured in 2-4-2. They have a personal 10.6 inches touch screen LCD TV. And on Boeing 737 have 30 inches seats pitch with personal LCD behind each seat. Jet Airways now bring your favorite magazines online. That made reading easy, convenient and fun. You can read the magazine online or even save it in your favorites. You can also email and print your favorite page as you browse. Read the in-flight magazines like JetWings, JetBoutique, and JetScreen for shopping catalog and for the audio-video entertainment program. You can also select the page from the table of contents for immediate access. JetScreen is a wireless in-flight entertainment service that provides the exciting range of Hollywood and Bollywood movies, famous TV shorts, video games, and music. Connect your compatible Wi-Fi device like a Smartphone, tablet or a laptop and enjoy the services. You are required to download the free ‘Airtime Player’ app to enjoy the services on your personal device. The airline introduced a feature called eXport which allows passengers to plug-in their personal Apple devices. JetPrivilege is the airline’s frequent-flyer program. It offers five classes namely: Blue, Blue Plus, Silver, Gold, and Platinum. Jet airways provide the lounge services with the additional benefits such as priority check-in, extra baggage allowance, and priority baggage handling. A member can earn JPMiles during travel that is used for the future bookings. Check-in allows you to check in anywhere from 48 to 2 hours before the departure. And lets you select your preferred seat and provide the e-Boarding Pass. You will get the e-Boarding pass and the payment receipt by your email address. For Domestic Flights: 45 minutes before the departure. For International flights: 60 minutes before the departure. Kiosk Check-in is preferable if you are traveling as a frequent flyer or as a first-time flyer with hand baggage and an e-Ticket. The Check-in process at the airport counters will start 3 hours before the flight departure. The US and Canada travelers will be permitted to Check-in up to 48 hours before the flight departure. Passengers can check the details of Jet Airways web check-in options to make their journey enjoyable and smooth. This article contains the in-flight services, Baggage allowance, and other entertainment options. So, want to upgrade with the Jet Airways facilities, read and make your trip with this airline. Goa to Bombay in Club Premiere was a flawless experience. The business class seats are comfortable although the aircraft was 12 years old and fraying of the seat upholstery was visible. Service was excellent as was the food served. The check-in was quite easy. While entering the aircraft we were warmly welcomed by the cabin crew. The cabin crews were very polite and listened to the passenger’s problem very patiently. The cabin was clean and the legroom was also good. The flight departed and arrived on time. The seats were quite comfortable due to the soft cushioning. Delhi to Hyderabad. Excellent ground service, very smooth check-in and barding process. Seat: 1A – spacious, lots of legroom, good cushioning, the upholstery could use a refresh though, a bit worn in patches. Catering was vegetarian option, quite flavorful & filling. Cabin service no problems there, prompt and efficient.